All of the Master Biblical Essentials subjects are available online with studio produced videos and resource materials. While you may choose to enrol in individual subjects, to gain maximum benefit from these studies, we recommend that you complete all subjects in the order they are presented below. As Christians, we believe that the Bible is inspired by God. But what does this really mean? 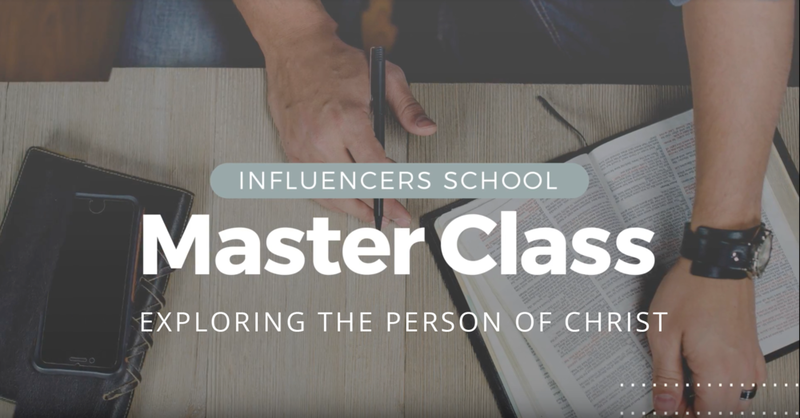 This topic explores the claims of the Bible regarding its source and inspiration and reflects on the meaning of inspiration. Some of the theories put forward to explain how God spoke to the human authors in the process of inspiration are examined. We also explore the accuracy of our Bibles and present evidence that indicates the Bible is a supernatural book and more than the work of the human authors. The topic of salvation is arguably the most important topic of all. Our eternal destiny depends on a clear understanding of our need for salvation and God’s provision of salvation through Jesus. This topic presents a selection of contemporary attitudes to the idea of sin and examines these against the Biblical revelation that all people are separated from God and in need of salvation. The Biblical truth that God has provided salvation through Jesus and how we receive this salvation through faith in Him is then explored. Salvation through Christ not only provides forgiveness of sin but also empowers us to walk in freedom from sin. This topic explores the freedom that has been established in Christ and addresses the process of change that God desires to bring about in our lives. The revelation of God in the Bible and nature shows us that He is far beyond anything we can imagine or fully understand. This topic will enlarge your understanding of who God is as we explore His essence and attributes and will inspire your faith to trust Him in all situations of life. The Bible reveals that, in Jesus, God became a man, and provided salvation for us. In this topic, we explore the fact that Jesus is totally God and also totally human and examine the impact that His deity and humanity have on our relationship with Him. When Jesus ascended into heaven He sent the Holy Spirit to continue His ministry in and through the lives of His followers. This topic explores the empowering presence of the Holy Spirit in our lives and provides keys for hearing His voice and flowing in the gifts of the Spirit today. Most Christians find the Old Testament to be confusing and complicated because they do not understand the overarching story presented in its pages. This survey provides an invaluable introduction to the Old Testament by providing a simple, uncluttered survey of the main storyline. The essential themes of key books are identified and the purpose of each book and its contribution to the overarching story is also explained. This survey provides an invaluable introduction to the New Testament by identifying the reason why each New Testament book was written. Once these reasons are identified the content of each book comes alive and our understanding of specific passages becomes clearer and more meaningful.